What’s wrong with your dinner? Here’s one possibility: Maybe it’s not infused with enough alcohol? There’s only one way to find out: Head over to TGI Fridays, where apparently pretty much everything is spiked with booze now. This week, the OG fast-casual chain announced they were “raiding the bar” for inspiration to create the restaurant’s new line of “Spiked Plates.” What exactly are Spiked Plates? They’re entrees and appetizers “infused with your favorite libations”—or, as true liquor lovers call it: wasting alcohol. Diners can now try Bourbon Barrel Chicken or Bourbon Barrel Sirloin, both of which are served over bourbon-infused wood planks. Another new selection is Hard Cider Half Rack Ribs, which come with a hard cider glaze. Not feeling ribs? You can also try that new hard cider glaze on an appetizer of boneless wings, or just order up the new Pretzels with Beer Cheese appetizer. And, of course, Fridays still has their Jack Daniel’s menu items for those who were fine with simply infusing their food with whiskey, thank you very much. “Fridays Guests are adventurous. 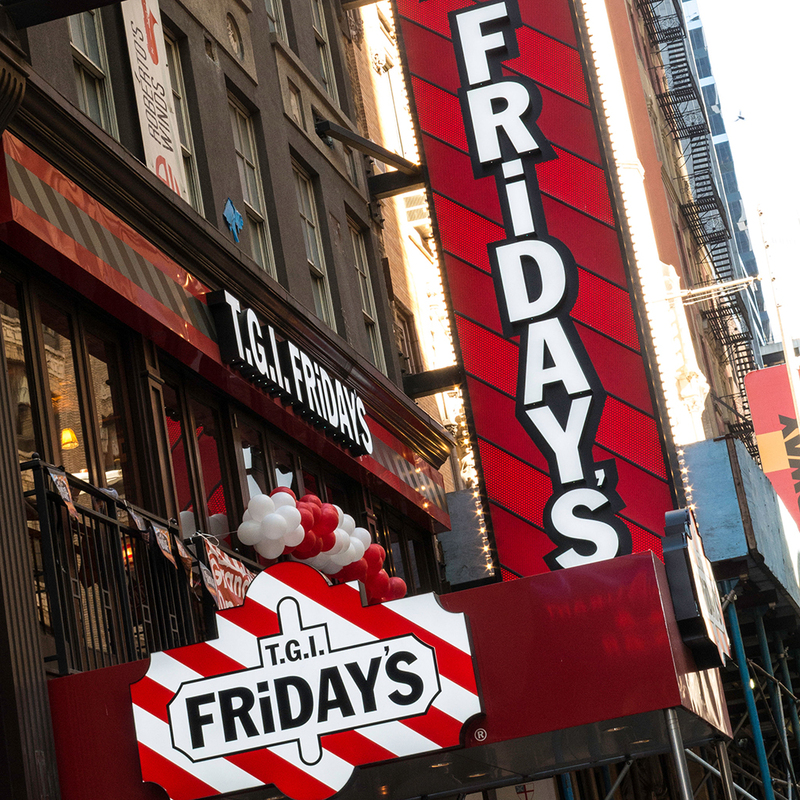 They want to explore unique flavor experiences that can't be replicated at home,” Brian Gies, chief marketing officer of TGI Fridays, said in a press release. Exactly. Dumping booze onto your meal is something you save for going out. Right Portlandia?